Such was the cuteness that greeted me upon my arrival in Texas this evening. Who could resist? Looks like he’s thinking, “More company! Who’s this??”. And, Loon’s right. 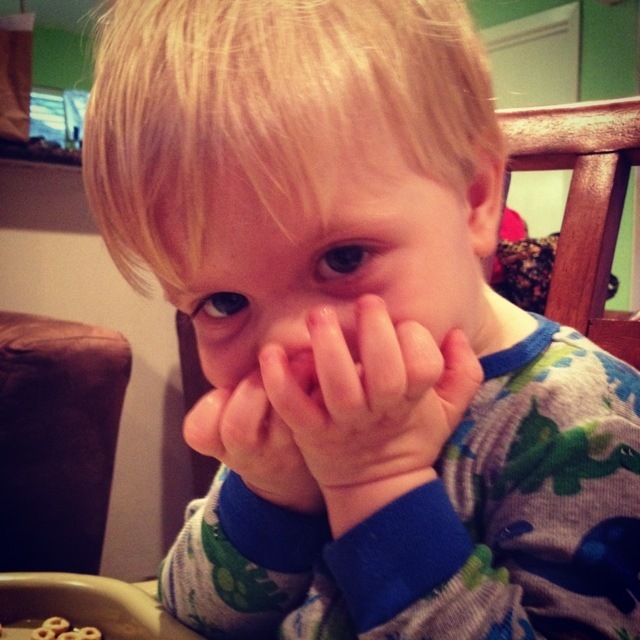 Don’t mess with his Cheerios!! !